Johnny Ielati from Benzenes Detailing is a very close friend of mine and a man who has battled one of human’s worst enemies – cancer. He fought the battle and won but others close to him and to all of us, haven’t been so lucky. It is for that reason that Johnny and his family are very supportive of the Cancer Council of WA (CCWA). They created their first Open Day to celebrate the recent changes to his incredible shop and to be a fundraiser for the CCWA too. 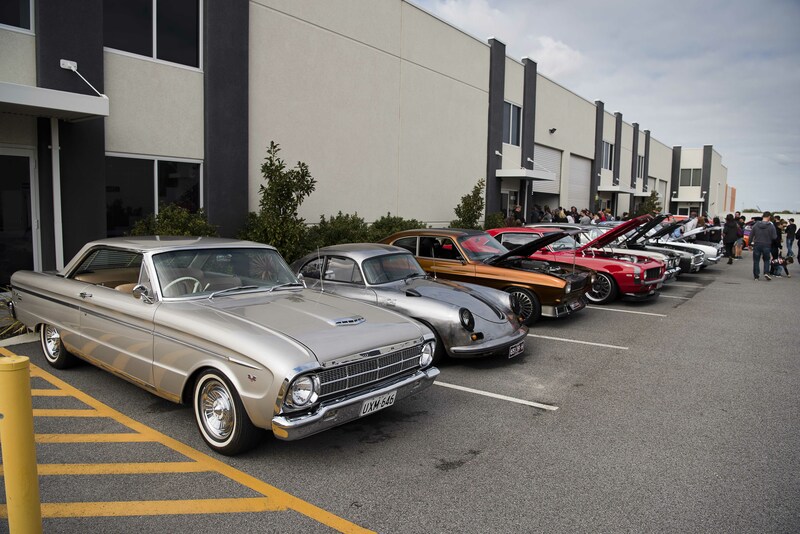 Friends and family were invited and helped raise money through car show entry fees, apparel sales and a tasty sausage sizzle. At last count, there was close to $3,000 raised and that figure was still climbing late Saturday afternoon. The shop was given a resent make-over and was completed to an exceptionally high standard which included a mezzanine to maximise floor space. The area is now perfect for taking-on car of show cars, exotics and daily divers. Johnny does it all! An awesome array of cars were on display and it was like a ‘who’s who’ of cars that I had personally photographed for various publications over the years. The casual and relaxed morning was enjoyed by all, with kids having fun, grown ups talking turkey and mates trading insults all for a good laugh. I copped my share but I think I gave as good as I got! The Show & Shine award went to the tough-as ‘LSG’ ute, that I have recently photographed for an upcoming issue of Street Machine. It was a difficult choice for the ‘judges’ as all the cars on display were plums! There were a heap of raffle prizes thrown in for good measure and some free goodies passed out too. The fact that so many people came to support the day was the real win though. I for one really enjoyed the cupcakes and the sausage sizzle. Anytime I get to eat, I am happy. Thank you to Johnny and his wonderful wife Angela for putting on such a great day that was thoroughly enjoyed by all.